Our Brunswick hotel is the newest hotel in town located in a historic port city also known as the *Gateway to the Golden Isles * beckons you with its seaside landmarks and surrounding natural splendor. The Hampton Inn - Suites hotel in Brunswick provides the most comfortable and convenient accommodations of any hotel in Brunswick. Stay in the perfect launching point for all your maritime adventures-the Hampton Inn - Suites Brunswick. 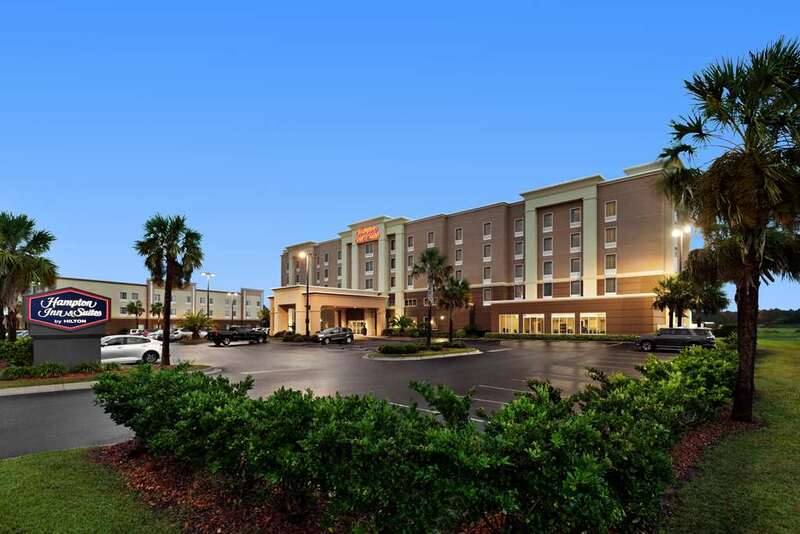 With easy access off I-95 you*ll find out hotel in Brunswick GA to be the perfect stopover spot. Experience the bustling waterfront of this town with a busy marina and an abundance of nearby specialty shops restaurants and more-all within minutes of our Brunswick hotel. Our hotel in Brunswick GA also puts you within reach of the natural splendor of Sea Island Jekyll Island and St. Simon*s Island-also known as the *Golden Isles of Georgia* and within 10 miles to the beach. Get your shopping fill at the nearby Glynn Place Mall or get your golfing in at the Brunswick Country Club. Check with the friendly team at our Brunswick hotel for more tips on the local sights to see while staying in the Hampton Inn - Suites Brunswick.